If you are expecting to get top dollar for you’re construction build, then you need to prepare to invest in quality products that will make your commercial or residential build stand out from the rest of the comps. Here’s a rule of thumb to go by when you’re competing in the construction industry: Don’t do what everyone else is doing! Don’t use the same typical flooring options that other builders use just to save money. That is what most builders on a budget are doing. So consequently, many builds will look the same—same laminate or carpeted flooring—and even with wood flooring, there’s still just too much maintenance involved to make sure that they look as good as new. Who has time for that? In the age of smart homes and artificial intelligence, buyers are looking to buy a home that offers very little maintenance. You don’t have to be super-educated in technology to meet this need. As a building contractor, you have the advantage to build future home and commercial owners a dwelling with the convenience of having a nearly maintenance-free natural stone floor. Natural stone floors are going to outlast any other alternative like carpet, laminate, and even wood floors. Nalboor Tiles, a wholesale manufacturer and distributor of a variety of naturals stone tiles, has a variety of naturals stone flooring options starting as low as $1.95 a square foot. While most of these aren’t ideal for flooring like Coral Stone or even travertine, some of these natural stone options can be incorporated into a home for different uses as with the more traditional selections of natural stone. Accent walls, decorative countertops for bars, or creating a herringbone or mosaic pattern are most creative. You don’t have to have an extremely large budget to create an extravagant entry and hallway flooring. All you need is the right kind of inventory and you can be as creative as your client—or the market allows you to be. There is no limit to how unique you can design a home or commercial build when it comes to installing natural stone floors. As aforementioned, natural stone is nearly maintenance free. It can last for years—if the owner does their part in taking care of it. When natural stone tiles are properly maintained, not much effort is needed to keep it up. Buyers won’t ever have to worry about their floors getting torn up or having to replace them. If they are properly cared for, buyers won’t have to worry about their floors staining up, and one of the biggest advantages of having natural stone floors is the cost savings that you earn through not investing in harsh chemical cleaning agents or investing in the latest cleaning gadget. Natural stone only needs a small amount of maintenance and that’s because it’s slightly porous enough to catch a stain only if an annual sealant isn’t applied to the surface. The annual sealant acts as a stain barrier. Any spills will stay beaded on top of the surface. Treating your natural stone floors with an annual sealant is mandatory for buyers who insist on installing natural stone floors. Marble, for instance, is popular for its shiny, almost reflective surface. This is a feature that can only be properly retained if they are protected. Floors undergo a lot of traffic that can buff out the showroom appearance of marble’s shiny surface. The good news is that with minimal cleaning, marble floors have the ability to keep its lustrous look that it’s so well known for. As dirt and debris tend to get carried on to marble’s surface, it can become abrasive after a period of time. If the floors aren’t frequently dusted, those little dust particles will eventually start scuffing the surface turning what used to be shiny floors into a matte-like finish. The good news is that it would take an extreme amount of neglect to see floors come to that. There is the option of travertine flooring. While it’s not quite ideal for indoor flooring, it is the perfect material for outdoor patios and pools. 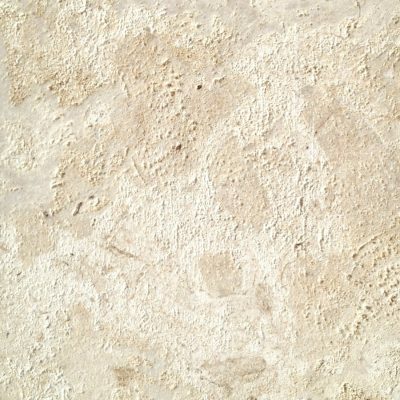 Travertine has a natural matte-like rustic finish that makes it safer to walk on wet or damp floors. It’s the perfect kind of tile to prevent a slip and fall and doesn’t necessarily require an annual sealant—for outdoor use, it’s completely optional. Travertine is a bit more porous than marble tile. So used as an outdoor flooring prevents water from pooling up on the surface. Also, the maintenance of these tiles is minimal. Curb appeal is just as important to boosting a home’s value as it is with the actual structure. To ensure that outdoor travertine tile lasts longer, we suggest builders to consider installing tumble tiles. The smaller dimensions for these stones offer landscapers more design options. Starting at $3.15 a square foot, the Noche Travertine and Rose Travertine tend to be the most popular among builders and landscapers. To get a better idea of what kind of natural stone tile that Nalboor Tiles carries, shop our online catalog a place an order for a free sample. We want you to be confident in knowing what kind of natural stone flooring that you’re investing in. We sell in bulk, so we feel that it’s only right for our buyers to receive a sample of the type of flooring that they plan to stock for the next build. We’re located in the South Florida area and have the means to ship your product directly to your warehouse and even to your building site if you so choose. Contact us online or call us direct at 305-928-7646 today!